Visit our large 6,300 sqft. showroom where our team will work with you to create the perfect look for your home. Whether you're looking to start a kitchen or bath remodeling project, Lifestyle Fixtures Kitchen & Bath can help you with all of your needs. Our experienced staff provides friendly service with extensive product knowledge about our products to your needs. Proudly serving Orange County, including Huntington Beach, Surfside, Seal Beach, Sunset Beach, Cypress, Garden Grove, West Garden Grove, Los Alamitos, Rossmoor, Irvine, Costa Mesa, Newport Beach, and Laguna Beach, Newport Coast, Corona Del Mar, San Clemente, and Dana Point. You will love the many bathroom fixtures and styles available for your home in the showroom at Lifestyle Fixtures Kitchen & Bath in Huntington Beach, California. 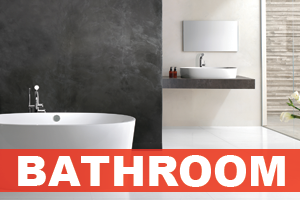 Come by and we will help you choose the right pieces for your perfect bathroom. Great fixtures make your bathroom a great place to relax and enjoy the ambience. Add the perfect touch with kitchen and bathroom accessories from Lifestyle Fixtures Kitchen & Bath in Huntington Beach, California. Our selection of high-quality offerings will brighten your kitchen and bathroom. Whether you are looking for the right new kitchen accessories for your island or want to give guests a treat with new bathroom accessories, we’ve got them all. 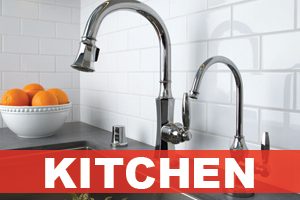 Upgrade your kitchen with top kitchen fixtures for your home from Lifestyle Fixtures Kitchen & Bath in Huntington Beach, California. Our friendly and knowledgeable staff is on hand to help you decide what types of fixtures fit your taste and your budget. You won’t believe how many kitchen fixtures and brands we carry in our showroom. 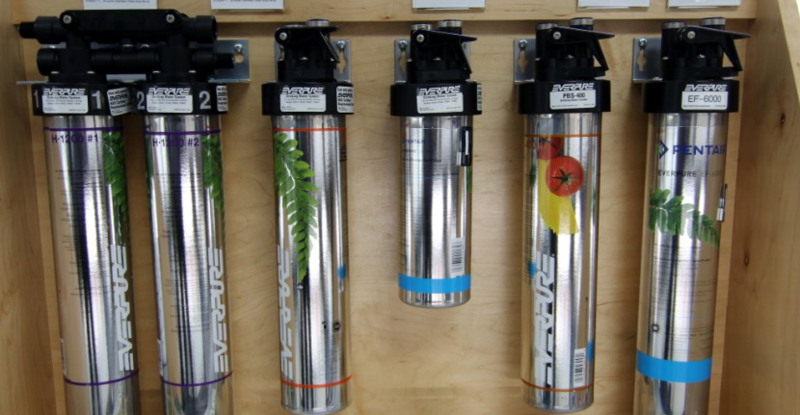 We have water filtration systems available from Everpure™. You will enjoy fresh, clean water without the cost of water delivery. Our experienced consultants are here to help guide you through every step of your project. We can help make your home remodel dreams come true. If you would like to make an appointment, simply provide your contact information and enter the date and time that works best for you on the form below. We will contact you shortly to confirm your appointment. We look forward meeting with you soon and showing you everything that Lifestyle Fixtures Kitchen and Bath has to offer! Hours: Monday - Friday, 10:00 a.m. - 6:00 p.m. | Saturday 10:00 a.m. - 5:00 p.m. I love this store and the owner Thomas is so sweet and helpful! Very happy I found it thanks to Yelp :) Usually I am a big fan of online shopping but when it came time to remodel our kitchen and bathroom I was a little sketched out about making such big purchases from websites. Plus I had so many questions! The first time I stepped into the Lifestyle showroom I was very impressed with how beautiful it was and how many of the products they have on display. The lady who helped me was very nice and patient as I had lots of questions. Thomas gave me his card, and I emailed him more questions to which he graciously responded. And finally when it was time to make my first purchase, a beautiful white farmhouse kitchen sink, they gave me a great deal! This will be my go-to store for the fixtures and hardware I will need to complete our remodel. "Needed to purchase bathroom fixtures for a home remodel project -- Lifestyle Fixtures turned out to be a great place to make these purchases. Service = 5 stars - The owners are very knowledgeable, courteous, and friendly. They very much know their product line -- spent considerable time explaining the pros and cons of specific fixtures from various manufacturers and were able to help make recommendations specific to the requirements of my home project. Shipping = 5 stars - This store currently (as of 4/20) uses a very efficient local shipping service. Received a call the same day of purchase to schedule delivery of purchases -- the driver called to confirm times and was prompt to notify me of a short delay due to traffic (can't penalize someone for this in California). Affordability = 5 stars - This isn't a major retailer with low-to-moderate quality products -- therefore, it's reasonable to expect higher prices for the bathroom/kitchen fixtures available at their store. However, the pricing seemed very reasonable against comparison shopping that I did (within 3% of similar fixture stores, more often than not below the price of competing stores). Again, this score is based on 'best value', not lowest price. Also, it's worth a mention that they offer an array of products across the price spectrum so that you can balance quality/function with the price that you're willing to spend. Would very much recommend taking a look at what the owners have to offer at this store." Thomas is the coolest nicest owner you will meet. 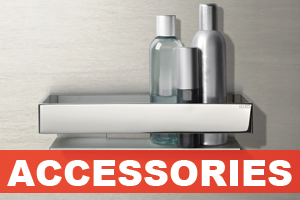 He has everything you need to make your bathroom or kitchen look amazing. Huge selection of top name brands with personal attention to customer service like a local mom and pop store. He looks young but with a wealth of knowledge. The place is huge, well organized and very bright and clean. If you looking for any Toto toilet he has it and for a fair price. If you are a yelper like me you get 5% off your first purchase. Great products and huge selection. Way better than any of the big chain stores. They are a little pricier, but that is due to the quality for sure. With vanities and most fixtures, you get what you pay for. This place is for sure worth the small bit extra for the quality and their knowledge. I will be going back in the near future for additional items. When my contractor sent me to pick out my fixtures with the suggestion that I avoid the chain hardware stores, i had no idea where to go. Then a friend reccomended Lifestyle Fixtures. It is the perfect place to shop for bathroom and kitchen fixtures. The owners know their merchandise, carry a large selection of quality items and are very helpful with decision making. The showroom is beautifully arranged and Thomas, the owner, has a great eye for what looks good together. His recommendations were excellent and items I purchased arrived on time and were top notch. I have shopped there now for several projects and could not be happier! Great selection and great service Thomas was very knowledgeable! So many faucets and sinks to choose from! If I could give more than 5 stars I would! My parents were in the process of remodeling their home and Lifestyle Fixtures went above and beyond with meeting their expectations! After shopping around other neighboring kitchen and bath shops, I'm EXTREMELY happy we went with Lifestyle. Not only did they match the other local prices but the immense selection of bath and kitchen fixtures truly enabled my parents to customize their home in a way that reflected their aesthetic values. The showroom is absolutely beautiful. It's an open area layout which makes it very easy to navigate and find what we wanted! Best of all.. It's right off the Goldenwest exit on the 405 which is super convenient and you can stop by Westminster mall right afterward! :) Wonderful staff! Will be recommending all of my friends and family to Lifestyle!! I love my fixtures for the shower and bath...Thomas very helpful and so pleasant to talk with..so knowledgeable as well. Nice store ....very ! All my things came in on time. All good! I recently came in and was greeted by Thomas. Wow, he was quick and knowledgeable about all the products he has in the showroom! Thomas gave me some great tips and advice I had no idea I needed (I doing a bathroom model). Nice to to have someone who knows how to get done right. The quality of the stuff you see at Lifestyles is top notch compared to those boxed stores. More importantly I was treated with excellent customer service by Thomas. It feels good to have someone that treats you right and answers all of my concerns and questions. Saved me a lot of time. Thanks Thomas for a pleasurable experience! I will be back for more bathroom fixtures at Lifestyles. Great customer service! Thomas the owner was super responsive, prompt and very knowledgable with his products. We purchased a faucet that leaked once installed and he immediately sent a replacement. Definitely appreciate the way they do business and would recommend to anyone in search of similar products. We will be back for any future needs. Great service dealing directly with Thomas, the owner. Knowledgeable, courteous, and friendly. Made purchasing fixtures for remodeling our three bathrooms a pleasure. Highly recommended. I first checked out LIFESTYLES out of curiosity more than anything. My initial reaction was a nicely stocked independent showroom. Their prices have to be high. They can't possibly beat the big box stores! Fast forward 2 months. Master bath remodel! Drove around to the regular hardware stores where the fixtures were very generic and the large appliance/fixture store in town where prices were ridiculous! So I tried online where I found everything I wanted, but would have liked to see and touch what I was about to buy. It would have been nice to talk to someone as well. Which lead me back to LIFESTYLES. I stopped by on a weekday morning shortly after they opened. Was warmly greeted by Thomas and his assistant and asked if I needed any help. Initially I said I was just looking as I made my way through the showroom. There were several things that peaked my interest so I engaged Thomas in conversation about several items. As not to make this too long I'll cut to the chase! I ended up buying 95% of my master bath remodel fixtures at LIFESTYLES! Thomas is not only very knowledgeable about his products but also what would work best for the particular application and location!